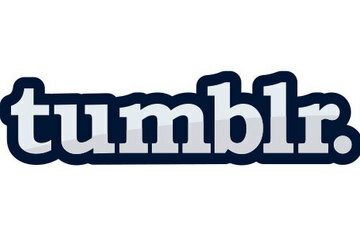 My universe was incomplete because I wasn’t on Tumblr! Okay, maybe that’s a little dramatic, and that’s why I thought I did not want to be on Tumblr–the drama. Since it looks like Tumblr is for the younger set, I kind of thought of it as a thing like….how LiveJournal was back in the day. And that’s true. But I need a space where I can kind of go be a fangirl. Also, I was researching fellow fangirls for an upcoming project. There seem to be less RP snobs on there than on LJ. It’s way easier to get re-blogged than re-tweeted, so as someone who actively promotes her own entertainment articles and LARPing….how was I not on here already? News and photos spread more rapidly on Tumblr than on Twitter and Facebook–and it’s easier to track. If you’re an entertainment writer, you really need to engage fans and post stuff on Tumblr. There’s a lot of positivity on the Tumblrverse. Way less emo than I thought it would be. Most of all, posts like this are what make me like Tumblr. It’s not some weird psycho-scary-stalker person, but a super sweet fan who got to meet her favorite actor and say nice things about him. Something like that should get more page views than all the trashy fabricated celebrity ‘news’ stories out there. Anyway, in honor of my positive experience with Tumblr, I give you my Tumblr link.